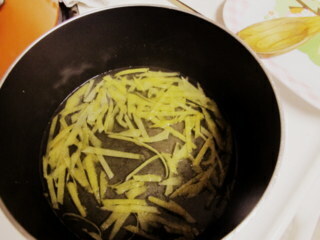 * I like to use salted butter because I love that sweet/salty taste. It’s very mild, but you may of course use unsalted butter. If you use unsalted butter, you can also add a 1/2 teaspoon of salt if you’d like : ). * If you don’t have self rising flour, you may use all purpose flour and add a tablespoon of baking powder. You’ll notice that a lot of my recipes sometimes won’t have exact measurements because I believe that a lot food should be cooked to your taste! I will of course always give you proper measurements for ingredients that are part of the integral structure of the recipes, but I want you to feel free to explore when it comes to some of the ingredients that are a bit more flexible. 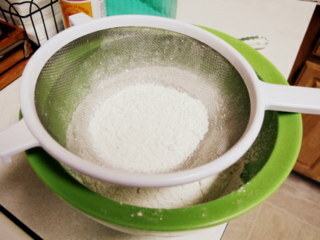 In one bowl sift your flour, and if needed your tablespoon of baking powder. 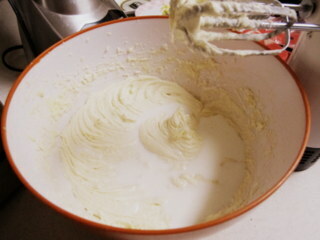 In another bowl, take your butter (which should be soft at room temperature) and cream it with the sugar with your electric mixer. 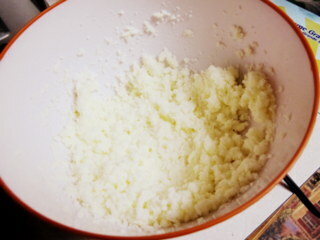 Add to your butter/sugar mixture your 4 eggs (preferably one at a time) and mix with electric mixer. 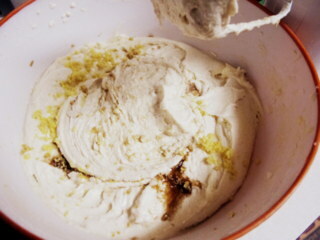 Take your dry ingredients (flour/baking powder) and pour some into your wet ingredients (butter/sugar/egg mixture) and mix. Now take some of your milk and add it to your wet ingredients and mix. 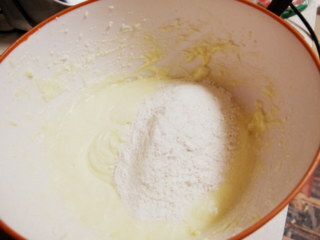 Alternate this process of adding flour, and milk to your butter/sugar/egg mixture until everything is fully incorporated. 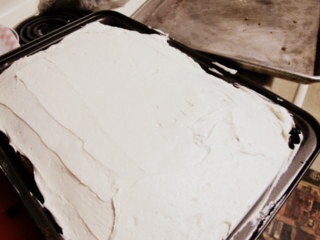 The batter should be thicker than let’s say… a box mix cake (much thicker actually), but not so thick as dough. Now pour your batter into your buttered pan of choice (remember your batter should only fill your pan about half way, or maybe even 3/4, if it fills it higher than that, you might need a bigger pan!) and pop it into the oven for 35-45 minutes. While the cake was baking I made a couple of things. 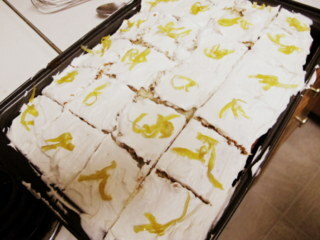 I wanted to make a garnish, so I decided to make candied lemon peels to go on top of the cake. This is very simple! Place your pot on a burner at medium heat. Add water and sugar and stir till dissolved. Allow for themixture to come to a simmer. This will take a few minutes. At this point, add your lemon peels. Continue to cook at medium heat. 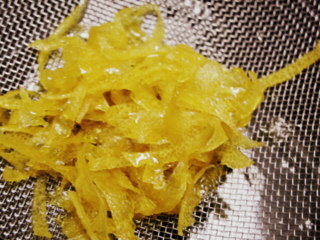 You’ll want to leave your lemon peels in the water/sugar mixture until they become translucent and the water/sugar mixture has thickened to a thin syrup. You’ll want to make sure you stir your mixture every few minutes. As the lemon peels cook (10-15 minutes), place some wax paper on a cookie sheet. This is where you’ll put your peels to dry. 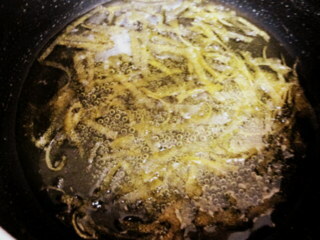 When your lemon peels look ready, carefully strain the mixture to remove the syrup. Place your fresh candied lemon peels on the wax paper, careful to separate them before they dry, or they’ll be stuck together permanently. And that’s it! Some people like to roll them in sugar after they’ve dried a bit, but I like them just as they are. Our last part of this cake is our buttercream. Begin by creaming your butter and shortening. At some point, your buttercream will become too thick for you to mix (but you’ll know that you’ll need to add more sugar because it probably still just taste like butter), at this point begin adding some milk. Buttercream is definitely something that should be done to taste, some people like really thick buttercream, and some like it a bit creamier (like me!). 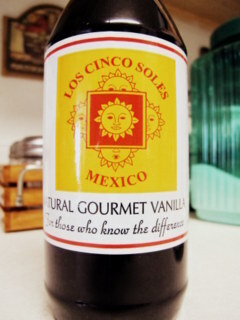 And most importantly, add your vanilla! Now that you have all the pieces, assemble your cake! Now normally, I’m all about making a cute cake by layering it, and frosting it properly… but as it was late on a work night when I made this, I decided for simplicity, and just frosted it right in the pan lol. 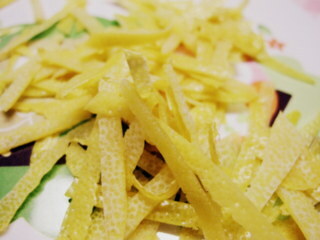 Add your lemon peels, and you’re set! I should note that after I added the candied lemon peels, I was too excited to try some cake and not really thinking, I cut right into it… Bad idea! The cake was still too warm, and thus I got a not so clean cut with crumbs everywhere >_>; So yea, be patient, and wait for the cake to cool : ). I hope you enjoyed this post, and remember that you can use this cake base with just about any flavor variety (just switch out the vanilla for your favorite extract, or use orange zest instead of lemon, etc. ), the possibilities are endless : ). 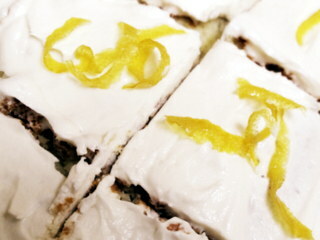 Thanks for reading, and happy baking!